independence back to our patients. 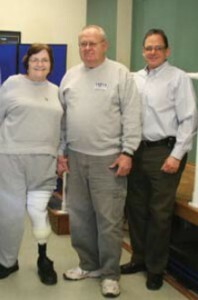 Since 1986, M. H. Mandelbaum Orthotic & Prosthetic Services, Inc. has been serving the Long Island and tri-state communities by providing orthotics and prosthetics, braces, orthopedic appliances, and more, to give our patients back their independence. What makes us different? We strive to be continuously educated on the newest materials, products and technology to provide our patients with the best options for their illness, injury or condition – – whether an infant, child, adult or geriatric. What’s important to our patients? Service. Our staff goes the extra mile to be there for each and every patient. We always fit them in — we’re there when they need us. We are an American Board for Certification (ABC) accredited prosthetic and orthotic facility, Veteran’s Administration approved, and accept most insurance plans. Serving Long Island and the New York Metro Area. Call us at 631-473-8668 for more information on how we can help you. Our office staff will be happy to answer any of your questions. The following are some conditions that require our services: scoliosis, fractures, sport, work or other injuries that require braces (knees, arms, back, neck), acquired or congenial limb loss, limb absence, or amputations including fingers or toes, above knee or below knee and symes amputations, hip, knee and ankle disarticulations and post-polio syndrome. Prosthetic – OSSUR Rheo Knee with Bionic Controls, Proprio Foot, Power Knee, the Otto Bock Genium and C-leg microprocessor controlled limbs, I-Limb Touch Bionics system, BeBionic hands, Socket Suction Suspension, and light weight components, running prosthesis, and sport prostheses, myoelectric arms, computerized legs, and silicone fingers. Orthotic – Becker, Fillauer, Horton’s swing phase locking knees, Donjoy, Bledsoe, Breg, Medi, Townsend ACL/MCL knee bracing, Allard Toe Off, Blue Rocker ankle foot orthoses, Cascade DAFO and SureStep pediatric orthoses, free swing and stance control knee orthoses. FES – Walk Aide functional electrical stimulator foot drop devices. I have been an amputee for 8 years. As an amputee it is important to keep on top of changes all the time and see my prosthetist anytime I have a problem. Recently I was diagnosed with bursitis and couldn’t wear my prosthesis. I had to get around in a wheelchair. I called M. H. Mandelbaum O&P. They gave me an appointment right away and, within a few hours, they fabricated a diagnostic leg and got me walking comfortably. I wheeled into their office in a wheelchair and walked out. Their office will do anything for you – they always fit you in. From the staff on the phone to the Prosthetist, they always take that extra time.